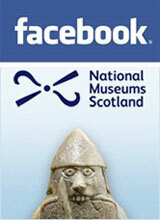 At National Museums Scotland, we care for over four million items. From prehistoric fossils to space age technology, our collections span millions of years and reach across the globe. One of the many intriguing objects in our collection is a carved wooden Feast Bowl, made in the Cook Islands during the mid 19th century. At 12 feet long, and with a capacity of around 300 gallons, this bowl is made for sharing. Like the Feast Bowl, this blog aims to bring together a mix of ingredients, to share with all comers. We’ll take you behind the scenes at our four museums: the National Museum of Scotland in Edinburgh, National War Museum at Edinburgh Castle, National Museum of Flight in East Fortune and National Museum of Rural Life in East Kilbride. Find out what happens at our National Museums Collection Centre, where our treasures are stored, conserved and made ready for display; discover how we go about preparing for a new exhibition and learn more about some of the weird and wonderful things in our collection. We hope you’ll join us by sharing your thoughts and comments too. We look forward to hearing from you. Please note the opinions expressed in the blog are those of the individual writers, and may not be those of National Museums Scotland.